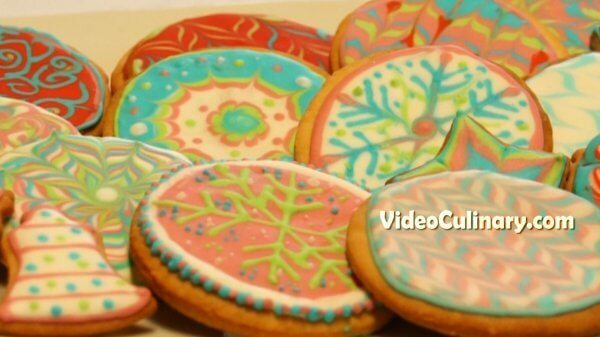 How to decorate sugar cookies with royal icing at home! You can make these decorated cookies for Christmas to spread some holiday cheer, or enjoy these festive cookies year round! Place 200 grams (7 oz) of soft butter and 200 grams (7 oz) of sugar in a bowl of a stand mixer, fitted with the paddle attachment. 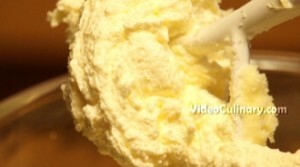 Add 2 teaspoons of vanilla sugar and 0.5 teaspoon of salt, and beat until creamy. 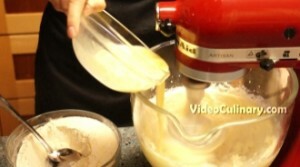 While creaming the butter and sugar, mix 1 egg and 50 ml of milk and sift 450 (1 pound) grams of flour. 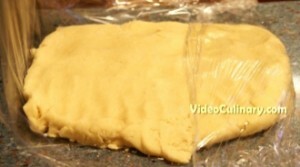 Turn the dough onto the table, flatten the dough and tightly wrap in plastic wrap. Refrigerate for at least 2 hours. 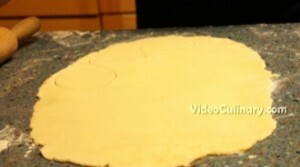 Roll out the dough on a lightly floured surface to about 3 mm thick. Cut into desired shapes using cookie cutters. 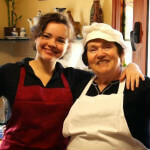 Reserve the scraps and refrigerate until chill so that they can be rolled and cut again. 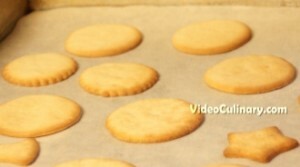 Transfer the cookies to a baking sheet lined with parchment paper. 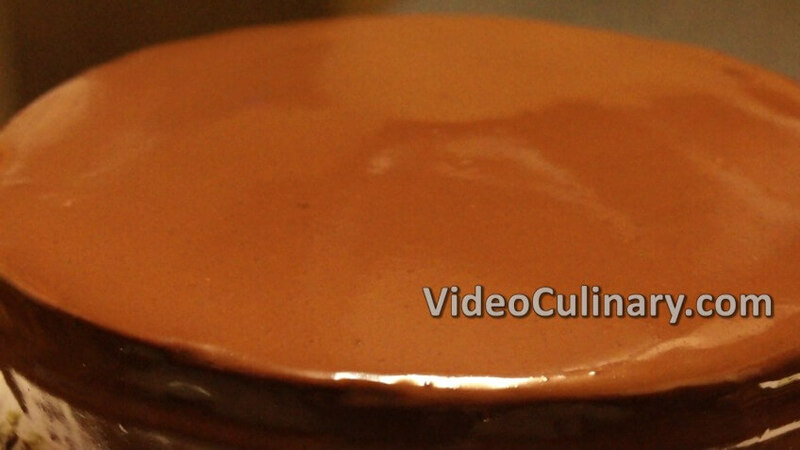 Bake at 190°C (380°F), for about 10 minutes, until they have a light golden edge. 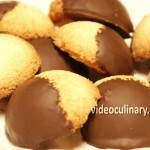 Allow the cookies to cool completely before icing. 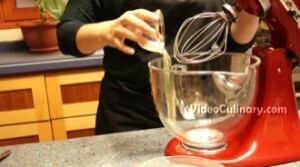 Place 2 egg whites and a pinch of citric acid in a bowl of a stand mixer fitted with the whip attachment. Mix on low speed until foamy, and gradually add 450 grams (1 pound) of confectioner’s sugar, until smooth and holds the right consistency. You can control the consistency of your royal icing; add more powdered sugar for a thicker icing, or egg whites for a thinner icing. 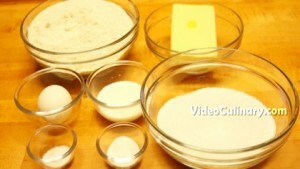 Divide the royal icing into separate bowls, add food colors as desired and mix well. 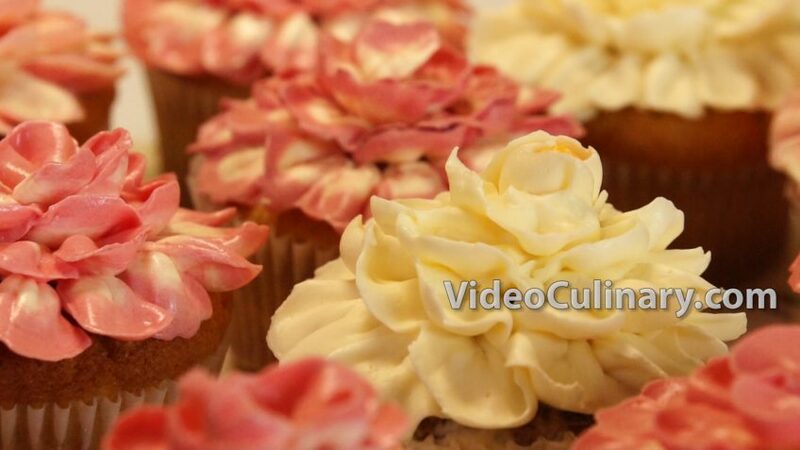 If not using immediately, place a damp paper towel directly on the surface of the royal icing, cover with plastic wrap and keep in the refrigerator. 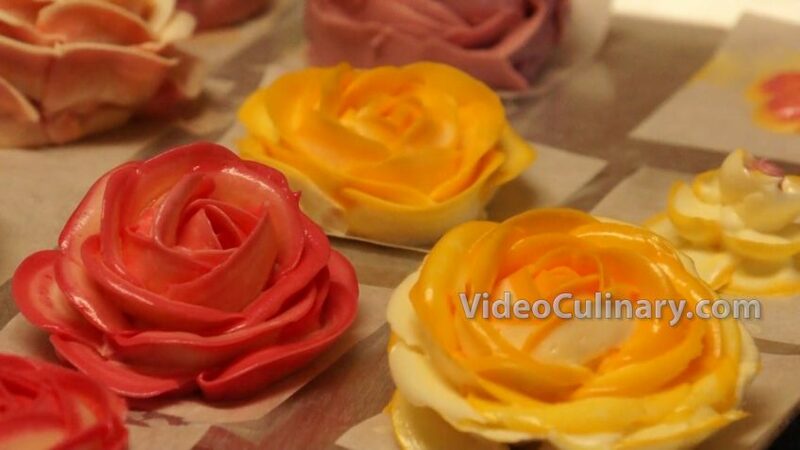 Transfer the icing to parchment paper cones (cornets) or into pastry bags fitted with a small round tip. It is easy to make parchment paper cones at home! 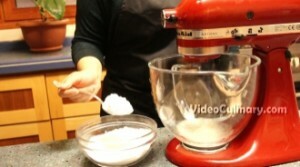 Visit the tricks and tips section on website www.videoculinary.com, to get the recipe. Pipe a border around the edges or the cookies. 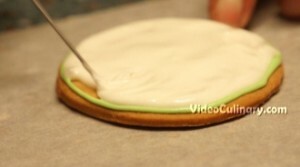 Flood the middle, use a toothpick to guide the icing towards the outline. 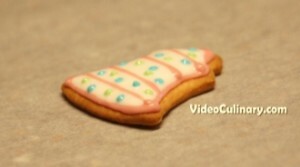 Tap the cookie gently to smooth it out and remove air bubbles. To decorate using the wet-on -wet technique, pipe designs while the base layer icing is still wet. You can use a toothpick to swirl the icing around. 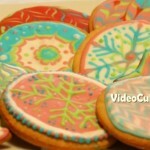 Let the icing dry, and serve these beautiful cookies to your holiday table!